Full-service institutional broker-dealer Drexel Hamilton is now hosting an ongoing series of interactive industry conferences specifically designed for institutional investors. At these events, attendees can ask questions and build connections with some of the most active players in the telecom, media and technology sectors. Each invite-only conference also offers the opportunity to engage in one-on-one meetings with members of presenting companies’ management teams. 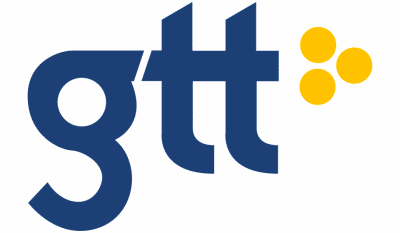 On September 6, Drexel Hamilton will welcome GTT Communications, Inc. (NYSE: GTT) as a presenter at its upcoming Telecom, Media and Technology Conference. A leading global cloud networking provider to multinational clients, GTT will discuss how its cloud networking services, including optical transport, wide area networking, Internet, managed services, voice and video, provide a better way to reach the cloud. GTT’s chief financial officer, Mike Sicoli, and general counsel and EVP of Corporate Development, Chris McKee, will be on hand to meet with investors during the conference. This event will cap off a busy summer for GTT. In June, the company established three new divisions, Enterprise, Carrier and EMEA, to enhance overall client experience and accelerate growth. Shortly after, the company announced the major acquisitions of Perseus and Global Capacity. GTT was also selected by Jisc, the provider of digital solutions for the UK research and education community, to upgrade Internet service for UK-based research and education networks. What’s more, GTT recently announced expanded low latency connectivity to Brazil’s financial community. And this comes in addition to winning three Stevie Awards in the 2017 International Business Awards. GTT’s Tier 1 IP network is ranked top five worldwide, and connects clients to any global location and any application through the cloud. The company’s core values are simplicity, speed and agility. A copy of GTT’s latest investor presentation is available on the company’s website. To learn more about GTT, click here.